Deep Carpet & Rug Cleaning Services Droylsden M43 | Quality Property Care Ltd. Recover your gorgeous rugs with the help of a professional rug and carpet cleaning company in Droylsden M43 Has your stunning rug lost its bright colours and appears to be worn and dull? There quick and easy choice for you. Quality Property Care Ltd., a carpet and rug cleaning company which offers high-quality residential and commercial carpet and rug cleaning in Droylsden M43 and the area. The carpet and rug cleaning services are delivered with the latest cleaning technologies and reliable cleaning solutions. The professional carpet and rug cleaning team offers carpet stain and spot removal, shampoo carpet cleaning or dry foam carpet cleaning for all sorts of carpets and rugs. Trust the trained and vetted cleaners to deliver you excellent services at the best rug and carpet cleaning prices in the region. Call the professional client service line or send an online require for a 100 % free quote, and you will get an offer in 2 hours! Don’t lose hope even if your favorite rug has experienced from what seems like a irreversible stain. The cleaners can effectively deal with a huge range of not-so-common and common stains, including: wine, oily stains, paint, , rust, vomit, blood, tea, coffee, moth damage and many more. The first thing you have to do to minimize the stain reach and the possible damage, is to blot out the spot with a piece of paper or a cloth. From edges in blot out the stain and check the paper or cloth to see if it’s transferring. This will draw out most of the spot and leave just a small amount for us to eliminate which make our job easier and your carpet’s chances a lot higher. Once we arrive we inspect the carpet and figure out which cleaning agent will do the task. 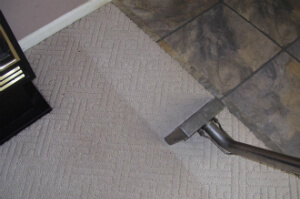 The carpet is cleaned with a hoover to eliminate any debris and prepare the fibers for cleaning. Once hoovered we apply the detergent on the spot and let it sit for a while so it can react with the stain and help lift it up from the fibres. To remove it all we use a slim nozzle and our highly effective hot water extractor which blasts the spot with a hot steam jet while simultaneously drawing all of the filth and gunk, as well as water, out with a solid vacuum. Nothing of the stain and detergent is left, with only about 5% of the moisture used to clean left to escape naturally. Depending on the day and thickness of your carpet, the process should take anywhere between 3-4 hours. Unlike ordinary synthetic carpets, rugs can be a tough task, when it comes to proper and comprehensive sanitizing. Our rug cleaning specialists, though, are well-trained to cope with all types of carpets and rugs: cotton, wool, synthetic, linen, silk, viscose, suede, plush, chenille, nubuck, leather and acrylic. Depending on the fabric type, the professional carpet cleaners in Droylsden M43 chose the most appropriate procedure. Attention: we always examine the detergents on the back of the rug to ensure it will not get wasted. Bear in mind that Quality Property Care Ltd. carpet cleaning company, though, works only with tried and 100% biodegradable cleaning detergents with no chemicals. Last, but not least, the carpet cleaning groups can also offer: Mattress Cleaning, Bed Bug Mattress Treatment, Curtain Cleaning, Drapery Cleaning, Blinds Cleaning. Bear in mind that if you request more than one service, we will make a special discount for you! Receive your offer now and don`t get worried about the good hygiene at home tomorrow! We would be glad to assist you! The most efficient deep cleaning for carpets and rugs is the wet deep carpet cleaning or the hot water extraction carpet cleaning from Quality Property Care Ltd.. It involves pre-treatment of the carpet by hoovering with professional vacuum cleaners, and then carpet spot and stain removal, followed by the steam carpet cleaning. The prepared cleaners perform a high quality shampoo carpet cleaning, using safe and certified cleaning methods, which will not harm you, your children or your pets. The rug or carpet will have as much of the water taken out from it, so it will need only 2 hours to fully dry off. If you request it, the cleaners can do a very nice deodorising of your rugs and carpets for an added clean and fresh effect. There are some carpets and rugs that cannot safely be cleaned with water, so the cleaners will provide a very efficient and safe dry foam carpet cleaning. The unique and perfectly safe foam is sprayed and rubbed into the rug or carpet, and after it has done its cleaning work, it is extracted with the suitable tools and vacuum cleaners. The same can be done with your curtains, mattresses or draperies and blinds. Dry carpet cleaning needs no drying time, so you can step on your carpet or rug just after the cleaners are done. 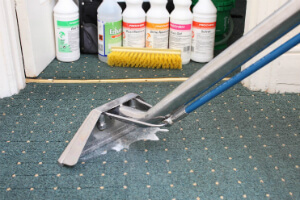 If you are in Droylsden M43 or the region and you demand professional commercial or residential rug and carpet cleaning, mattress cleaning, bed bug mattress treatment, blinds cleaning, curtain cleaning, drapery cleaning, or a combination of Two or more of these services, all you have to do is call the client care service at this number 0161 823 0325 or complete and send the online booking form, and you will get written confirmation via e-mail and sms as soon as possible! Same day booking is possible, as well as booking on weekends and bank holidays without any price increase. Book your professional carpet and rug cleaning service today!